England suffered through a very cold winter this year, but thanks to its vast biodomes flowers are already blooming just at the cusp of spring. Check out what these artificial environments look like inside. 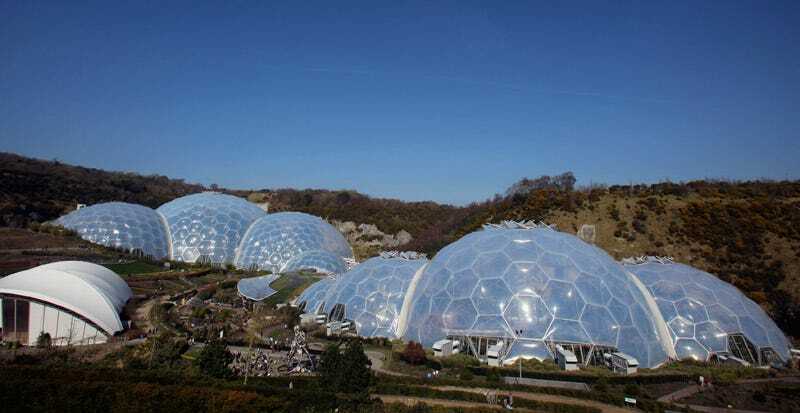 In these photos, taken today, you can see visitors strolling the grounds of the biodomes that look like giant soap bubbles on the grounds of the Eden Project near St Austell, England. The biodomes have been around since 2001, and are designed to simulate a variety of climate conditions inside, creating vast enclosed gardens that you might one day see as the first phase of a terraforming project on another planet. For now, they are simply futuristic greenhouses on Earth. Learn more about the Eden Project. Photos by Matt Cardy/Getty Images.